Good News Church leader Prophet Ubert Angel engaged a South Africa-based Zimbabwean woman to arrange illicit sexual liaisons for him, a whistle blower has alleged. 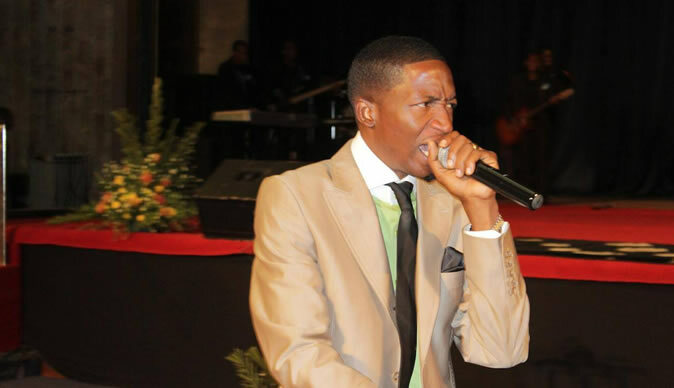 In leaked WhatsApp messages between the preacher and his "fixer', Miss Melody Dzingai, the pair discuss hooking up Prophet Angel with women of the "highest quality". The Sunday Mail Religion independently established that the mobile phone number on the chats was up to the time of writing being used by Prophet Angel. Miss Dzingai herself is said to be dating Enlightened Christian Gathering leader Prophet Shepherd Bushiri, who is Prophet Angel's "spiritual son". Repeated efforts to get comment from Prophet Angel (born Hubert Mudzaniri) were fruitless last week. A man who identified himself as Pastor Tim promised to "get an official statement" but nothing had materialised by the time of going to print. Miss Dzingai referred questions to her "brother" Mr Maynard Manyowa, who dismissed the leaked chats as fabrications by a disgruntled former employee, Mr Leeroy Elliot. "The chats are not genuine. In fact my sister lost her two iPhone and a Samsung S8 phones. We have made a police report and Elliot must return the phones," he said. "Elliot demanded R50 000 but we refused to be blackmailed and he threatened that he was going to expose what he calls dirty messages, but it's all fake. He is bitter because he was fired as Melody's personal driver." Prophet Bushiri's director of public relations Mr Kelvin Silungwe's mobile phone was not reachable. Miss Dzingai forgot her phones in Mr Elliot's car. According to Mr Elliot, he only handled the phones when Miss Elliot got in touch with him and made threats against him if he did not immediately give her back the gadgets. Mr Elliot says the level of her agitation and the use of threats piqued his interest, and he picked up one of the phones and discovered it was not password protected. On scrolling through the WhatsApp messages, he came across the damning conversations between Prophet Angel (who is married to Prophetess Bebe) and Miss Dzingai — who expressed her "love" for Prophet Bushiri. Prophet Bushiri is married to Prophetess Mary. In one message, Prophet Angel demands that his "spiritual granddaughter" hunts for women who will play hard to get. "I want you to find the highest quality. People you think will say NO." Miss Dzingai responds, "Hahahaha….NO? The difficult ones granddad." He writes back: "Yea. The difficult ones are the most attractive ones." Miss Dzingai then sends pictures of one Charmaine for Prophet Angel's approval, and the preacher gives her the green light to link them. Miss Dzingai sends pictures of other girls, and the prophet responds to one of them saying: "She posts about me a lot. She comments." His fixer says: "Really? Can I talk to her then? I like Imelda…she's nice." Prophet Angel orders her: "Talk to her now; no wasting time. She is married. You are slow." Oddly, in some messages, Miss Dzingai waxes lyrical about Prophet Angel's wife, saying she runs out of words to describe her. On another occasion, she apologises for taking long to send pictures of potential targets because she was in church. The young woman declares her love for Prophet Bushiri, whom she refers to as "My Love Malawi". Prophet Bushiri is from Malawi but based in South Africa. "Awww you are so so sweet my love. I am flattered…I love you so much. Baby you should rest I know you are tired. I will call, you when you are awake my hubby. I will tell you again how much I truly and completely love you," she writes. Mr Elliot says he has been threatened by people linked to Prophet Bushiri for exposing the shenanigans. In a recorded phone conversation between Mr Elliot and Prophet Bushiri's publicist, Mr Silungwe, the former says: "I know you are working with Bushiri, don't try to be clever. Kelvin, I am not afraid; don't threaten me. I have dirty videos which I can post." Mr Silungwe has denied threatening Mr Elliot. Mr Elliot has posted a video on Facebook in which he says he has overwhelming evidence about what is going on. "I was trying to handle this issue in a professional manner but these people, including Kelvin Silungwe, hacked my account and posted a statement on Facebook page that I had apologised retracting my statement that Melody Dzingai was organising girls for Ubert Angel and she is dating Shepherd Bushiri. "Whatever I was saying is the truth. I stand as Elliot Leeroy, Leeroy Elliot, I am not reversing this. They are trying to offer me money and they are tracking me. I am on the run, help me. I have been exposing the rot in the church; I have more sensitive videos and will post it if you try anything to harm me. I will never apologise, even in 100 years." Mr Elliot dismissed claims that he demanded money from Miss Dzingai as payment not to leak the videos, saying he tried to engage the subjects in the interests of the church but they responded by threatening him. He says that is when he took the decision to leak the messages.